Are you known to be a confident Christian, teen girl? Where does your confidence rest? In what does your confidence rest? Is your confidence based on the promises of friends? Do you have your future carefully planned and laid out thinking nothing can happen to you? Everyone knows that “life happens” and these carefully laid out plans can quickly change in the twinkling of an eye. However, there is one thing our confidence can be based on and it will never change and that is God’s promises. Because we are born-again children of God, we have a new covenant with God which states that His promises are never to be broken. But now hath he obtained a more excellent ministry, by how much also he is the mediator of a better covenant, which was established upon better promises. (Hebrews 8:6) Teen girl, isn’t it wonderful that we can rest in God’s promises? The promises of God are many in His word. But let us encourage our hearts that He who is our Creator and holds our salvation in the palm of His hand will fulfill each and every promise! Read with me this morning and be grateful that God’s covenant with you does not rest in your feelings but in His promises!! How can one not have confidence when God has made these promises? He does not lie, therefore, each will be fulfilled! Praise ye the Lord! ~Psalm 27:14 Wait on the LORD: be of good courage, and he shall strengthen thine heart: wait, I say, on the LORD. How I love Noah Webster’s definition of courage! COURAGE, n. [L., the heart.] Bravery; intrepidity; that quality of mind which enables men to encounter danger and difficulties with firmness, or without fear or depression of spirits; valor; boldness; resolution. It is a constituent part of fortitude; but fortitude implies patience to bear continued suffering. Courage that grows from constitution, often forsakes a man when he has occasion for it; courage which arises from a sense of duty, acts in a uniform manner. Be strong and of good courage. Deu 31. Doing a search of the phrase “good courage” yielded a goldmine for me! I hope you are blessed as well, teen girl. God’s Word clearly defines “courage” and portrays that we can only have courage through God. Be strong and of a good courage, fear not, nor be afraid of them: for the LORD thy God, he it is that doth go with thee; he will not fail thee, nor forsake thee. (Deuteronomy 31:6) Emphasis mine. Have not I commanded thee? Be strong and of a good courage; be not afraid, neither be thou dismayed: for the LORD thy God is with thee whithersoever thou goest. (Joshua 1:9) Emphasis mine. And Joshua said unto them, Fear not, nor be dismayed, be strong and of good courage: for thus shall the LORD do to all your enemies against whom ye fight. (Joshua 10:25) Emphasis mine. And David said to Solomon his son, Be strong and of good courage, and do it: fear not, nor be dismayed: for the LORD God, even my God, will be with thee; he will not fail thee, nor forsake thee, until thou hast finished all the work for the service of the house of the LORD. (1 Chronicles 28:20) Emphasis mine. Be of good courage, and he shall strengthen your heart, all ye that hope in the LORD. (Psalm 31:24) Emphasis mine. ~Isaiah 12:5 Sing unto the LORD; for he hath done excellent things: this is known in all the earth. ~Jeremiah 17:9 The heart is deceitful above all things, and desperately wicked: who can know it? ~Matthew 23:28 Even so ye also outwardly appear righteous unto men, but within ye are full of hypocrisy and iniquity. ~Titus 1:16 They profess that they know God; but in works they deny him, being abominable, and disobedient, and unto every good work reprobate. ~Romans 8:6 For to be carnally minded is death; but to be spiritually minded is life and peace. ~Proverbs 21:4 An high look, and a proud heart, and the plowing of the wicked, is sin. ~Mark 10:18 …there is none good but one, that is, God. 1. The voluntary departure of a moral agent from a known rule of rectitude or duty, prescribed by God; any voluntary transgression of the divine law, or violation of a divine command; a wicked act; iniquity. Sin is either a positive act in which a known divine law is violated, or it is the voluntary neglect to obey a positive divine command, or a rule of duty clearly implied in such command. Sin comprehends not action only, but neglect of known duty, all evil thoughts purposes, words and desires, whatever is contrary to God’s commands or law. 1 John 3. Mat 15. James 4. Sinner neither enjoy the pleasures of nor the peace of piety. Among divines, sin is original or actual. Actual sin, above defined, is the act of a moral agent in violating a known rule of duty. Original sin, as generally understood, is native depravity of heart to the divine will, that corruption of nature of deterioration of the moral character of man, which is supposed to be the effect of Adam’s apostasy; and which manifests itself in moral agents by positive act of disobedience to the divine will, or by the voluntary neglect to comply with the express commands of God, which require that we should love God with all the heart and soul and strength and mind, and our neighbor as ourselves. This native depravity or alienation of affections from God and his law, is supposed to be what the apostle calls the carnal mind or mindedness, which is enmity against God, and is therefore denominated sin or sinfulness. Unpardonable sin, or blasphemy against the Holy Spirit, is supposed to be a malicious and obstinate rejection of Christ and the gospel plan of salvation, or a contemptuous resistance made to the influences and convictions of the Holy Spirit. Mat 12. 1. To depart voluntarily from the path of duty prescribed by God man; to violate the divine law in any particular, by actual transgression or by the neglect or non-observance of its injunctions; to violate any known rule of duty. All have sinned and come short of the glory of God. Rom 3. Against thee, thee only, have I sinned. Psa 51. 2. To offend against right, against men or society; to trespass. I an a man more sinn’d against than sinning. And who but wishes to invert the laws of order, sins against the’ eternal cause. Pretty diluted, isn’t it? This is how today’s world thinks, however. Man’s heart is desperately wicked so of course he would prefer today’s definition of Merriam Webster’s. So what is considered sin? We can start at the beginning with the Ten Commandments. This is God’s law to mankind. Have you broken one of these? Have you lied – even just once, teen girl? Then by admission, you are a liar. Have you ever stolen – even a pen from work? Then by admission, you are a thief. Breaking any of these commandments makes us a sinner. Because of this fallen nature, it is impossible to keep all the commandments. For whosoever shall keep the whole law, and yet offend in one point, he is guilty of all. (James 2:10) Therefore, we must be punished for breaking God’s laws. It does not matter if you do good things like help the poor. It doesn’t matter if you give lots of money to the church. Although it’s nice that you did these things, the fact of the matter is that punishment is still needed for breaking God’s commandments. They weren’t put there just so a movie could be made. 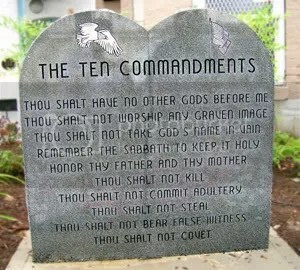 The Ten Commandments were given as the Law by God. They are our “teacher” and are there to show us that we are sinners. Let’s say that you were sentenced to pay a penalty of $50,000 by a judge because you were caught stealing. You tell the judge that you do not have $50,000 and that you are really sorry for your crime but could he let you go this one time. The judge replies that he is a good judge but someone has to pay the penalty for this crime. A friend of yours shows up and says he’ll pay the $50,000 for you. Someone already in prison could not pay this penalty for you but this friend was free to do so. The judge accepts his payment and lets you go. This is exactly what Jesus Christ did for us. Because God is a Good and Righteous Judge, He demands that the penalty for breaking His Laws be paid. Because God’s love for us is so great, Jesus Christ chose to take on the form of man so He could take the punishment for our sins and pay that penalty. Jesus said, “Father, I’ll pay their debt for them! I’ll become that sacrifice You require of shed blood and I will shed My own blood for them. Only Jesus Christ could do this because He did not sin once while He lived on earth. He was the only one qualified to pay this penalty. No man could do it because all men have sinned. Now that’s love, my friend! The born-again believer no longer has to pay the penalty because our debt has been paid by Jesus Christ Himself. Will we continue to sin? Yes, but we will sin less. The believer has been given the Holy Spirit of God and He resides in us to teach us and guide us in how to live a more righteous life. Every day is a challenge for the believer to live a godly life. But it is a joyous challenge because we no longer have to fear spending eternity in hell! What joy! This is the whole point of His birth, His life, His death, and His resurrection! Am I the only one out there that stands amazed at how the meaning of words become diluted through time? This morning, I was curious to see what was today’s definition compared to what the Bible’s definition would be. And so let us feast upon God’s Holy word. I was particularly drawn to the second definition. This states that if you are meek, you are submissive and you are deficient (lacking) in spirit and courage! Is it any wonder that the world does not respect a meek person or even desire to be meek? If the world does not desire to be meek, then they desire to be the opposite. I see this among attitude amongst teenagers today. There is a rise in anger and bullying – where is the meekness? This is just as true amongst Christian teens. The antonyms for meek are “proud, stubborn and domineering.” Ah yes, this does sound like the world – yes, it sounds like worldly Christians, too. Are you one of these, teen girl? Now the man Moses was very meek, above all men. Num 12. 2. Appropriately,humble, in an evangelical sense; submissive to the divine will; not proud, self-sufficient or refractory; not peevish and apt to complain of divine dispensations. Christ says, “Learn of me, for I am meek and lowly in heart, and ye shall find rest to your souls.” Mat 11. Blessed are the meek, for they shall inherit the earth. Matthew 5. The Lord sure does portray a different picture of a meek person in the mind’s eye, doesn’t He? This definition portrays a man of great self control and a heart for submission to the will of God. Is this the way you demonstrate yourself, teen girl? As I meditate on this, I can’t help but think of the dear saints who were martyred for the cause of Christ. I think Jesus Christ, who epitomized meekness to the point of death on the cross for our sins so we can have eternal life through Him. Thank You Lord for not being proud or stubborn when Your Father left our souls in Your very hands! It took great courage for our Saviour to go to the cross despite knowing what awaited Him! I absolutely love my children! I also believe that I would die for them if I had to. If I could choose the way I die, I would definitely not pick burning or drowning. I think either of these would be a horrible and painful death. I began to wonder if I would die for my children if I knew ahead of time that I had to burn to death in order to save them! Would I still do it? Christ knew and yet He still died for us! Oh what love! Oh what meekness! I can’t even begin to imagine the pain He suffered on the cross. If you want to see a good article on this very topic, please read: Medical Aspects of The Crucifixion. Knowing ahead of time that this was His mission, He was meek and submitted to the Father’s will despite of this knowledge! How does God regard a meek Christian teenage girl? Oh Lord, help us to draw nigh to You so we can learn from You in this area of meekness. Help us to practice daily self control and to be gentle with others. May our feelings not be easily hurt but may we be forgiving and longsuffering toward those who hurt us. And finally, Lord, may we be submissive to Your will in all areas of our Christian walk. Remove from us our sinful pride and create in us a right spirit. Numbers 13:31-33 (But the men that went up with him said, We be not able to go up against the people; for they are stronger than we. 32 And they brought up an evil report of the land which they had searched unto the children of Israel, saying, The land, through which we have gone to search it, is a land that eateth up the inhabitants thereof; and all the people that we saw in it are men of a great stature. 33 And there we saw the giants, the sons of Anak, which come of the giants: and we were in our own sight as grasshoppers, and so we were in their sight. If you take a moment to read this entire chapter, you will remember that God promised the children of Israel the beautiful land of Canaan. However, somewhere along the way, the children of Israel forgot the blessings of yesterday – how this same God had rescued them in times passed! This was the same God who parted the Red Sea so they could escape Pharaoh and his chariots! (Exodus 14) In today’s reading, it does not appear as though the children of Israel remembered God’s power. How sad it is that we soon forget God’s blessings and the miracles He performs in our every day lives! I’m certain that you’ve been in situations in life where you have felt like you were a grasshopper in comparison to the giant of a problem you were experiencing. I know that I have been in those circumstances many a time! Some days it felt as though I had to climb a mountain in order to get over the crisis of the day. Today’s photo of this beautiful mountain really spoke to my heart as I was working on this devotional. As impossible as it seems to be able to climb this mountain, the solution to my crisis seemed just as impossible! I really felt as though I was that grasshopper in the midst of giants. I can almost feel exactly what the children of Israel were feeling! So how is a Christian teen girl suppose to act when she is confronted with a ‘giant’? I love the Jewish holy days that the Jews were commanded to celebrate. God knows our weaknesses. He created days where the children of Israel had to take time out of their busy schedule to honor Him, to remember His blessings and how He gave them shelter during their storms! God knows that when we take a moment to remember His goodness, our discouragement or feelings of being overwhelmed will be easier to handle. The storm of life does not go away but we are aware that the Lord can help us through them. (Psalm 121:1-2) In giving the people holy days to remember, God gave them an opportunity to reflect and remember what He had done for them. The Psalmist, David, practiced this very thing as he shared in three of his psalms: Psalm 42:6, Psalm 77:10, and Psalm 77:11 A Christian who makes it a practice to remember God’s goodness on a daily basis will be able to fight the giants in his spiritual life. What giant are you facing today, teen girl? Do you feel like a grasshopper in the midst? Think back on the problems and trials in your life thus far. If you’re reading this devotional, then I can safely assume that you survived each one through the grace of God! 🙂 Remember how the Lord worked out the details and blessed you?! Those were yesterday’s giants – you are yesterday’s grasshopper! Yet the Lord conquered your giant, my friend. What makes you think that He would not help you with this giant? Meditate on the details of yesterday’s trial and how God worked every one of them out! This will make your heart tender and will prepare it for praise, honor and worship. When we complain about our life, we place ourselves in a position where we display a bad testimony. It’s a bad testimony to have an ungrateful heart because it shows others that our God is not able! It is also showing our children and other Christians around us just how much we do not trust the Lord to take care of our giants! (Proverbs 3:5-6) We reveal just how much of a grasshopper we believe that we are! Proverb 3:5-6 Trust in the Lord with all thine heart; and lean not unto thine own understanding. 6 In all thy ways acknowledge him, and he shall direct thy paths. Psalm 63:1 O God, thou art my God; early will I seek thee: my soul thirsteth for thee, my flesh longeth for thee in a dry and thirsty land, where no water is. Psalm 63:1 Many think that they need to go to church to seek God or have fellowship with Him. Yes, there are places which promote solitude of heart and communing with the Lord seems to be sweeter there. 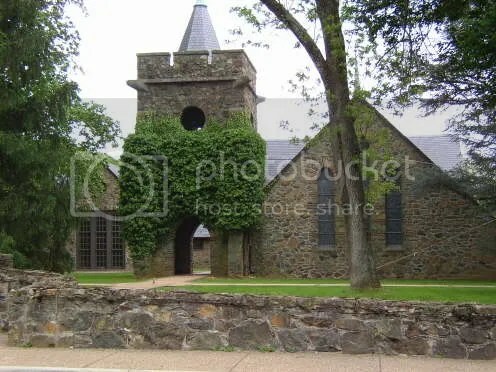 When my husband and I were out sightseeing one day, we came across this quaint and very old church (built in the 1800’s) in Virginia. But is this the only place we can find solace? 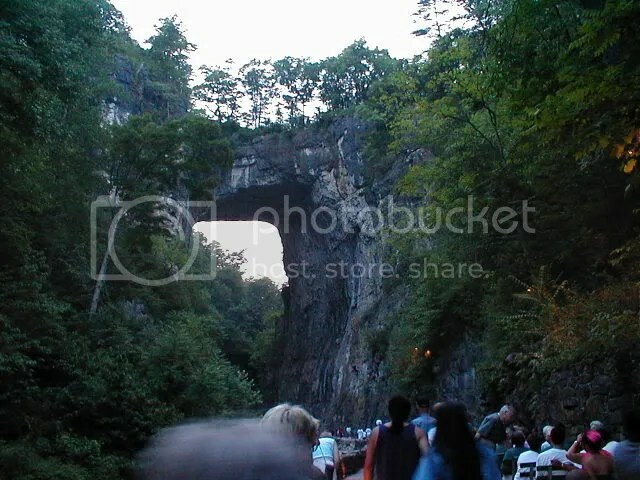 We also visited the Natural Bridge in Southern Virginia. God’s creation is so beautiful and the work of His Hand is breathtaking. Just walking the trails to get to the bridge were peaceful and serene. All we could hear was the babbling of the brook as it led us to a small waterfall. As we sat through the Genesis story that evening and watched the light show in conjunction with each day of creation, God’s beauty combined with the Scriptures and our hearts were full. One does not need to look far to see the Lord at work. I believe we live in one of the most beautiful areas in our country, near the Blue Ridge Mountains. 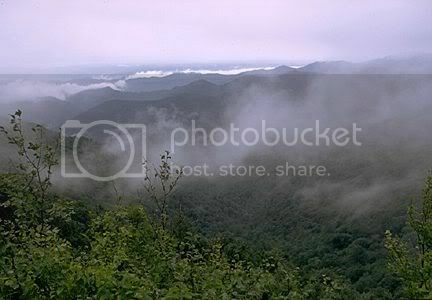 This photo was taken during one of our motorcycle rides through the Blue Ridge and our eyes could not believe what they were seeing! It was a gloomy day, the rain was coming in and we were hurrying to get to the valley before the storm came in. What a breath taking scene, to say the least. Again, God’s handiwork spoke to me and filled me with awe for a God who intricately created this earth and its beauty. This same God who created earth’s awesome wonders, created me as well and all my intricacies. Psalm 139:14 I will praise thee; for I am fearfully and wonderfully made: marvellous are thy works; and that my soul knoweth right well. Don’t you think we are wonderfully made? This picture of the inner ear reveals the intricacies of our bodies and it reveals a side of God that should overwhelm our spirits! 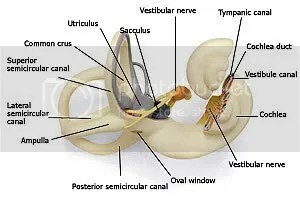 This is only our inner ear, dear reader! I could post picture after picture of other parts of our bodies that are equally as intricate. But the point is that God is the creator of them all! 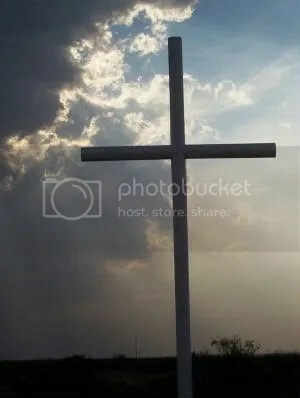 I shared all these pictures just to say that our Lord God should be sought, not only in church, nature, or when we examine His creation, but also we should be seeking to learn more about Him and becoming more like His precious Son. We should seek after God as if we are dying of thirst and can’t get enough of Him when we come to commune with Him. We can find these beautiful places in our mind’s eye even if we are sitting in our private place as we do our devotions and studying.